Let me to echo comrade Edward Mwaba Ndalama‘s position on the issue of Roan Constituency. Let me be quick to say here and now that the loss of Roan Constituency to that man whom I don’t even know his name is not only a shame to the Patriotic Front, it is a bigger blow to the Party President and the entire PF as we go to the polls come 2021. This has hit us bad, it has kicked us , it has damaged us and if we are not careful, we may get into an intensive care Situation as we approach 2021. As I blame it on Bowman Chilosha Lusambo, Richard Muskwa, Kampamba Mulenga and the entire MCC for not listening, let me hasten to say that this bad but timely wake up call for PF is indeed a big lesson worth a good reflection by those previlaged to manage the affairs of the party. If we feel so comfortable due to the fact that we are drunk with power, tukashala muli mwamoneni, we shall be kicked out like broiler chickens that have developed Gomboro and boom, we shall be on the other side as losers. 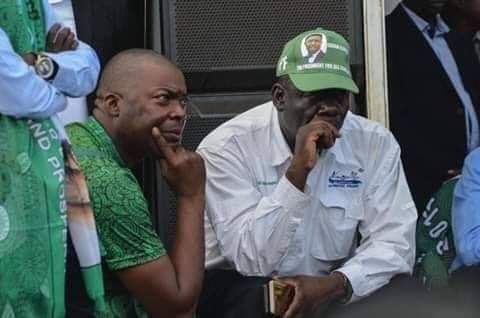 I want to appeal to people like Mr Know it all, Bowman Lusambo, that any political tactician in the world has a listening ear, stubbornness and being drunk with power has never been a solution in politics, sometimes let’s learn to listen even from those we feel have no power and money. We advised, but obviously you chose to shower threats on many of us including Ndalama Edward, here we are, beaten pants down, Kambwili was busy campaigning while you and your team were busy posting fake things and say compare and contrast, is this not a shame on you? Lastly, to the Secretary General, this is a bigger wake up call for you Sir, a time of reflection is infact not needed, all you need to do now is put your House in order or resign before you can be fired. A lot has gone wrong, you have not listened, you have instead viewed those who have told you the truth in your face as enemies of you and the party, am sure now you have to take this bitter pill. Organize the grassroots now or never, better still just resign and ask the President to send you into Foreign service. All this is coming on your head and please don’t dare to have a press briefing and say you are petitioning. Lastly, it is my appeal to the head of state, the man in whom am well pleased, please fire some of these passengers who are not bringing any value to the party, remove them from the positions of MCC, fire some Mimisters who are doing nothing but preparing for their retirement by eating and saving forgetting the party that put them into office. Take action now Sir or we say Goodbye to power come 2021. Finally, empower the youths and put things in order for the people of Zambia. IT TAKES COURAGE FOR A PF MEMBER TO WRITE LIKE THIS. KEEP IT UP NGWIRA! INDEED PF IS DRUNK WITH POWER. THAT’S WHY THEY HAVE NO TIME TO WOO VOTERS USING THEIR DEVELOPMENT AGENDA IN AN APPROPRIATE WAY. THEY THINK WINNING IS AUTOMATIC FOR THEM. I REMEMBER D. MWILA PUBLICLY REFERRING TO THE THEN LUSAKA MAYORAL CANDIDATE AS BA INCOMING MAYOR. CONFIDENCE IS NOT TANTAMOUNT TO CARELESSNESS. IT’S NOT FIRING THE MINISTERS THAT WILL TURN THE FORTUNES OF PF BUT A RE-ORIENTATION OF THEIR ATTITUDE TO POWER THE OF A RULING PARTY. THEY SHOULD UNDERSTAND THE REAL REASON WHY THEY ARE IN POWER. POWER IS NOT PRIMARILY USED FOR CRUSHING OPPONENTS OR STUDENTS!! NOW THAT THEY HAVE LOST, WHEN ARE THEY RESIGNING? WE ARE WAITING, THEY SHOULDN’T JUST CONSOLE THEMSELVES BY WINNING DUBIOUSLY ELSEWHERE MUMA LOCAL GOVT ELECTIONS NIKISI! People actually want genuine dialogue by the church not this fako thinking of trying to bulldoze as though you are super zambians No! STUDY THE MOOD OF THE PEOPLE NOW.You may have the money, materials to corrupt but it may not help at this stage with this damage to this nice country. NGWIRA DON’T ALSO CHEAT YOURSELF PF IS ALREADY IN INTENSIVE CARE, AND CARRYING WITH YOU THOSE PEOPLE WHO ARE PUFFED UP WITH POWER AND MONEY AND DON’T COMPROMISE WITH THE ORDINARY ZAMBIANS LIKE NKANDU LUO, DORA SILITI, EVEN TU KAKUNKUBITI NATHAN CHANDA, MWILA, LUSAMBO, MULENGA, KAMPYONGO, CHITOTELA, EVEN POLICE CADRES LIKE KATANGA, TO NAME A FEW INCLUDING LUNGU HIMSELF, THE KIND OF HATE THAT YOU HAVE CREATED UPON YOURSELF BY YOUR ARROGANCE WILL BE YOUR DOWN FALL, PEOPLE ARE ALREADY ANNOYED AND INSTEAD OF HUMBLING YOUR SELF YOU ARE BUSY ANNOYING THEM FURTHER ATI I CAN NOT FIRE CHITOTELA EVEN THOUGH THEY HAVE FOUND HIM WITH MILLIONS IN THE HOUSE IN BAGS AND THE AVERAGE ZAMBIAN IS HUNGRY, WAIT AND SEE, JUST ABOUT 500 DAYS FROM NOW WE SHALL BE IN NATIONAL CAMPAIGN MOOD AND WE ARE NOT JOKING THIS TIME AROUND, IF YOU THINK USING KAPONYA MENTALITY OF FIGHTING THE PEOPLE WILL WORK FOR YOU JUST WAIT, AFTER TODAY WE SHALL BE SAYING 499 DAYS TO GO AND TIME IS RUNNING. KEEP CLOSING UNIVERSITIES INSTEAD OF PAYING LECTURES WHILE BUYING EXPENSIVE PLANES PEOPLE ARE NOT STUPID. ADD TO YOUR UNPOPULARITY WHICH YOU KNOW ALREADY BY THE WAY YOU LOST THE PAST ELECTION. Time is the mother of everything, Bashir faces five counts of crimes against humanity and two counts of war crimes at the ICC in The Hague in connection with Sudanese military actions in Darfur between 2003 and 2008. 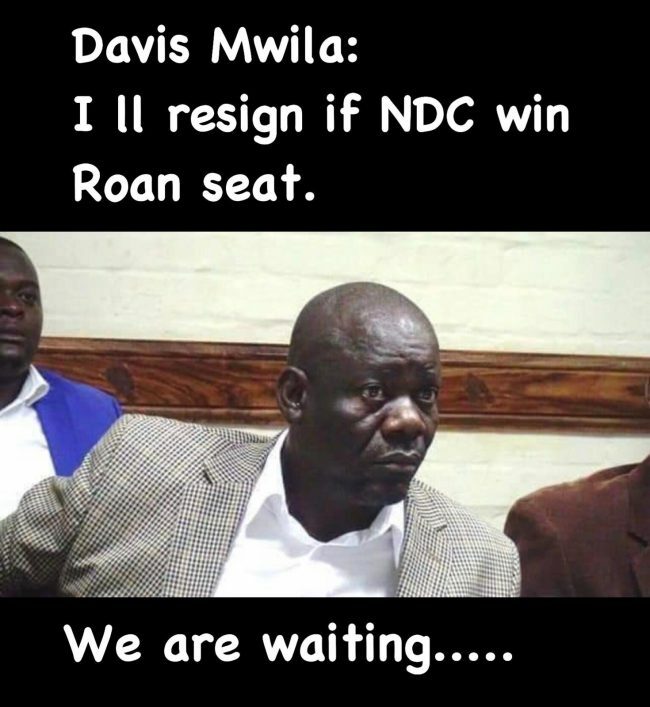 Recently, PF Secretary General Davis Mwila has told cabinet ministers and PF members of parliament that they will go to prison if they don’t work hard to win the 2021 general elections. Speaking during the Luapula Province party mobilisation launch which was broadcast on Prime TV, Mwila said Luapula Province should save ministers and members of parliament from going to prison. “Here in Luapula, we have a lot of support. We have 100 per cent support, but you bring five constituencies with 90,000 votes. Our friends (UPND) one constituency is 90,000 even if it’s in the village. Why are you not voting? That is why I am telling you that if you play, you will cry,” Mwila said. He said the party needed serious mobilisation to maintain its strength in Luapula. Mwila said the to do this, the party had given 120 bicycles to each constituency in Luapula with additional school books branded with President Edgar Lungu’s portrait. But UPND deputy secretary general Patrick Mucheleka, in a statement, stated that the confession by the PF leadership in Luapula Province just confirmed that they were “dead scared” since they were massively looting public resources while committing other crimes against the Zambian people. “With their usual divisive messages, the PF leadership led by SG Davies Mwila are busy campaigning in Luapula Province, telling people to work hard and retain PF in power or risk being imprisoned. We all know that only law breakers end up in cells, and if convicted, in prisons,” stated Mucheleka. “They know that they are thieves and very corrupt, yet only a small clique of them are enjoying their ill-gotten gains. They are basically pronouncing themselves guilty and now want our good people of Luapula Province to save them through the ballot. Earlier during the same PF mobilisation launch, the PF leadership took turns attacking Bahati member of parliament Harry Kalaba. Luapula province minister Nickson Chilangwa, who was coordinating the programme, asked Mwila to ensure that the central committee speed up the disciplinary process for Kalaba. “Let me take this opportunity to ask you ba SG that through you, we ask that the central committee speeds up the process of disciplinary (action) against Kalaba. We have by elections for councillors here, but soon even elections for MP in Bahati. Let Kalaba go,” said Chilangwa while addressing Mansa Central MP Chitalu Chilufya as Bahati MP. PF YOU MADE 1 BIG MISTAKE. YOU TOOK TO ROAN THE STRATEGY OF ALMS- GIVING TO AVERAGELY EDUCATED PEOPLE WHAT YOU TAKE TO THE VILLAGES LIKE IMUSHO. THEY WILL ACCEPT YOU AND YOUR GOODS, BUT NOT IN ROAN, KANFINSA, MANDEDVU, ETC, WHEN YOU HAVE NOTHING OF NEED LIKE MEDICINES, JOB SECURITY, UNIVERSITY FEES, PAYMENT OF FRA DEBTS FOR MAIZE, GENUINE DIALOGUE AND MANY WHAT SIMPLE ZAMBIANSARE ASKING FOR. THE SAME DUNUNA (IN REVERSE! ), COMEDIANS, MUSICIANS, BOASTING OF ABA AKASAKA KA…. ?,,FI!